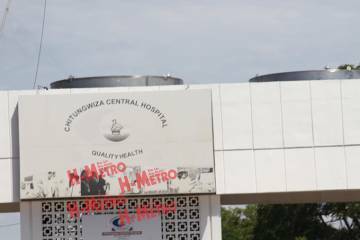 CHITUNGWIZA Central Hospital boss Patrick Dhliwayo stands accused of harassing his staff members. Indications are also that a doctor who examined nurses Dhliwayo is alleged to have assaulted is being victimised. Dr Arthur Mhizha who examined the nurses has since requested for transfer from the hospital citing victimisation. A nurse identified as Kasinganeti has since written a letter of complaint to the Ministry of Health and Child Care while another tutor at the hospital’s school of nursing identified as Ndarukwa was also mentioned in the letter as having been victimised. The health ministry has two letters of complaint against Dhliwayo. In an interview over the issue yesterday, Dhliwayo was pompous saying doctors occupied a special realm in the society. “Doctors we play a very important role in the society and we are not recognised for our efforts but when we do slight mistakes the media will publish fake news tarnishing our names,” Dhliwayo said. Dr Mhizha in the letter says when he examined the nurses who were said to have been assaulted by Dhliwayo he later got threats to twist his letter to suit what Dhliwayo wanted. Dr Mhizha, who indicates that there attempts by Dhliwayo to coerce him into changing his medical report, wrote to the ministry that Dhliwayo wanted him to write a letter disowning the medical examination report saying he had examined the nurses under duress. After refusing to do so, Dr Mhizha is alleged to have found the going getting tough at Chitown Hospital prompting him to write the health ministry requesting for a transfer. “Iwe Kasinganeti ndanzwa nyaya dzako three, manje you must be very very careful. Iwewe na Ndarukwa muri two must know kuti what goes around comes back around, be very careful,” he said. The letter states how Dhliwayo belittles the occurrence of other staff members below him by ill-treating them after they failed to take his orders. “I am no longer moved by these petty issues which the media publish, I have better issues to worry about, in fact people should feel sorry for me rather than creating stories,” Dhliwayo said.